ClipShifter is released as both a free and paid plugin. The paid plugin adds oversampling (2, 4, and 8 times), and a 3-way multiband frequency control. The multiband frequency control can be used to apply clipping to certain frequency bands, while the free version applies the audio clipping to the entire frequency spectrum. 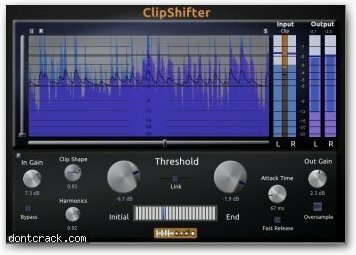 ClipShifter is released as a 32-bit and 64-bit Windows VST plugin.